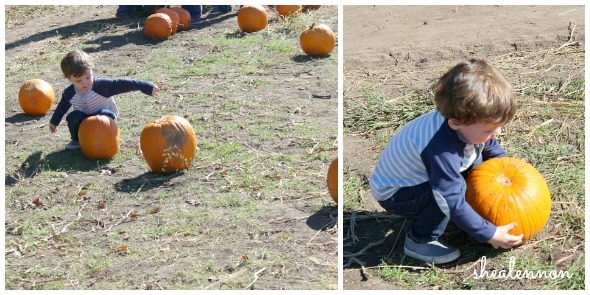 One thing I wanted to do this fall was take Jona to the pumpkin patch. We went last year, and although it was fun, Jona wasn't walking yet so that made it a little challenging. This year we decided to try a new (to us) patch, the KC Pumpkin Patch. 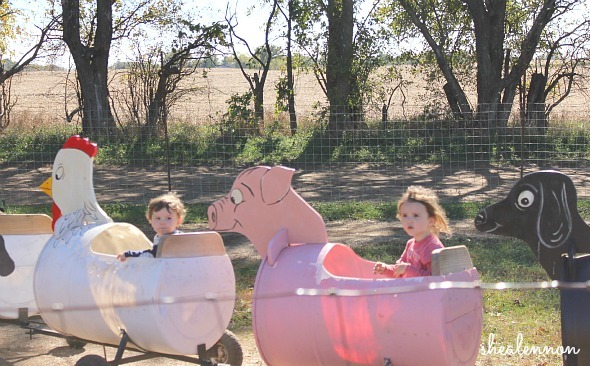 So last weekend, we went with my best friend Abby and her family, to KC Pumpkin Patch. I'm so glad we did; it was the perfect place to take Jona, who is 2, and his BFF Addie, who is 3. 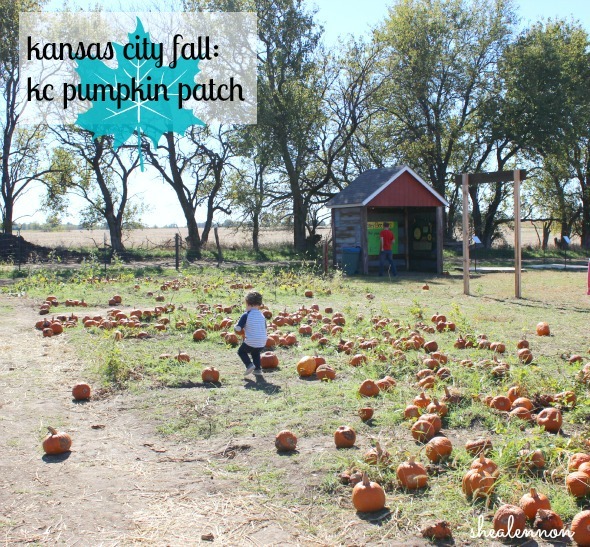 KC Pumpkin Patch is tailor made for kids. 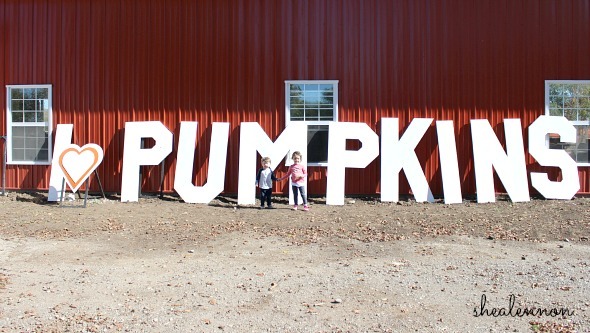 While there is a pumpkin patch, the name is somewhat misleading, because I wouldn't say it's the main attraction. We did pick a few pumpkins there, but mostly we just let the kids go from activity to activity, which they did with pleasure. 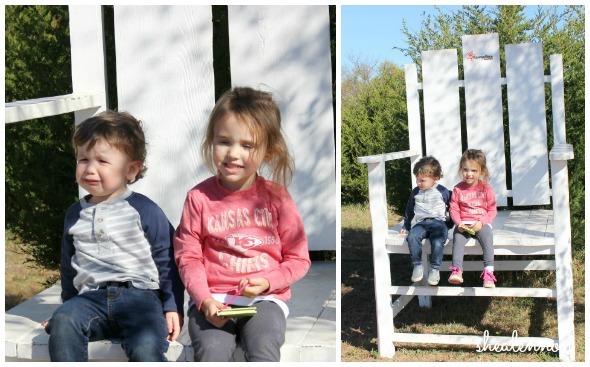 It wouldn't be a pumpkin patch visit without some tears (for Jona at least), so I wasn't surprised at all when a few were shed when I had the audacity to make him sit on the giant chair with Addie. Overall, both of the kids (and the adults) had a wonderful time. 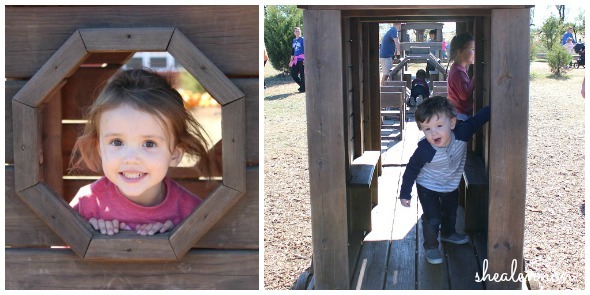 With our bellies full of cider and pumpkin donuts, we happily wandered around and let the kids go to town with all the activities. One of the last stops was a little train for kids to ride on. I was surprised that Jona wanted to ride (he's typically Mr. Cautious), but he made no protest when Aaron set him in the rooster. (When Aaron said, "Jona, do you want to ride in the rooster?" 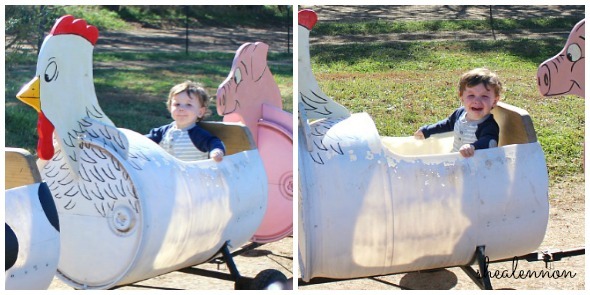 Jona replied, "No daddy, it's a chicken.") However, by lap three around the track, the tears started, and being the good mother that I am I made sure to get a few priceless photos snapped. Have you been to a pumpkin patch yet this fall? What other fall activities are on your must-do list? 5 years ago: wearing basics with a bright necklace. 3 years ago: wearing brights for fall. 1 year ago: styling a sports tee for work.